Due to its history, which has been shaped by foreign countries, there have a variety of foreign languages (add that have) been taught in Laotian schools during the last 40 years. As a part of the French colony Indochina, French was mostly the only foreign language which has been taught in schools. After the communists took over in 1975 and Laos was isolated from other countries mainly languages from socialist states like Russian or German were taught. With the end of the Soviet Union and the end of communism in Europe partner states and therefore funding disappeared. In the 1990s Laos started to open up and with the globalisation English became the first foreign language. Until 2012 teaching English was obligatory in secondary school, since then it has also to be taught in primary schools. Regarding this background it is comprehensible that English level in Laos is quite low. Laotian people rarely speak English outside of tourism. Teacher education at colleges and universities, particularly for English teachers, compared to the neighbouring countries is quite poor. Missing methodology and pronunciation training has led to pupils following their teachers bad example in the language. At the same time English speaking skills are important for work as tourism is growing and there is more cooperation with foreign companies. Mainly companies who want to start a business in Laos are not only confronted with the problem of not having enough qualified professionals but also having not even enough workers who have foreign language skills. Since 2012 the foundation had interns to raise the English level of the students. 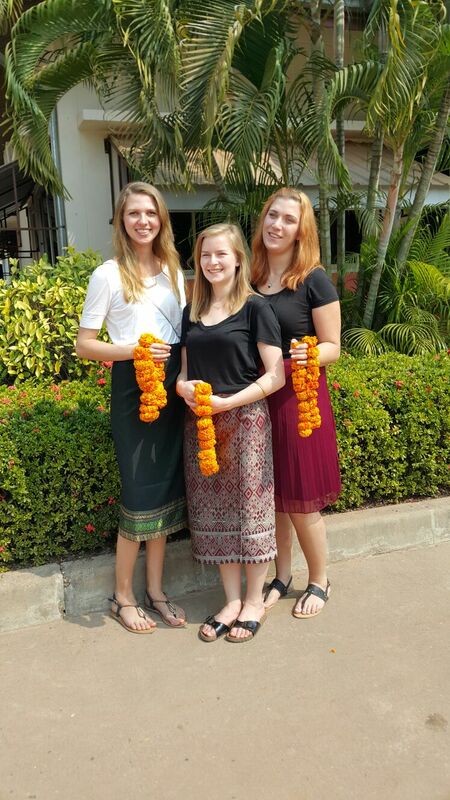 Their task was to work together with the Laotian English teachers and make the lessons more interesting, varying and educational. Though the huge engagement the interns showed, this approach didn’t seem to be very lasting, as their stay often was too short to get longer lasting results. Because of this and the necessity to develop a continuous and stringent pedagogic concept, in July 2015 cooperation with the Prof. Dr. Isabel Martin, head of English department at pädagogische Hochschule Karlsruhe started. The concept of interns was quickly enhanced to an in-service teacher programme training, as the teachers should be able in the future to ensure functioning lessons. 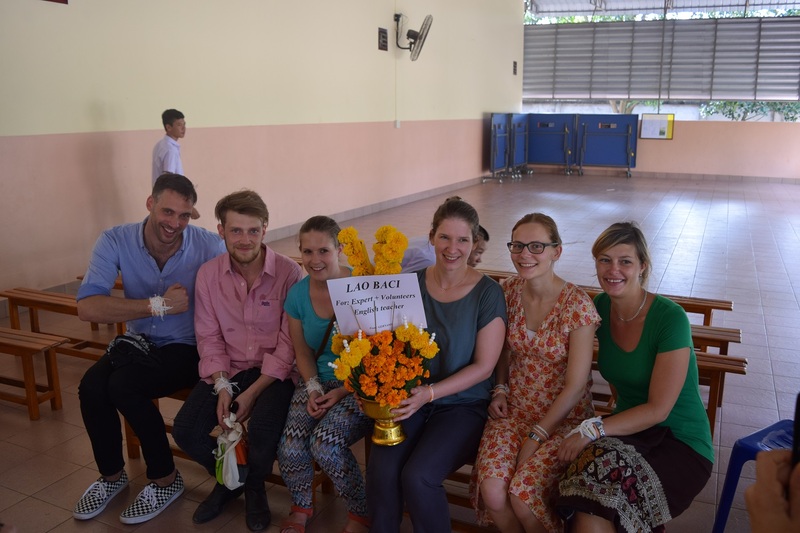 Based on the teach-the-teacher-approach the pilot project “Teaching English in Laos” which started in autumn 2015. Prof. Martin developed a broad training concept specially adjusted for the needs of the Laotian teachers. For the training, special material, methods and content was collected. 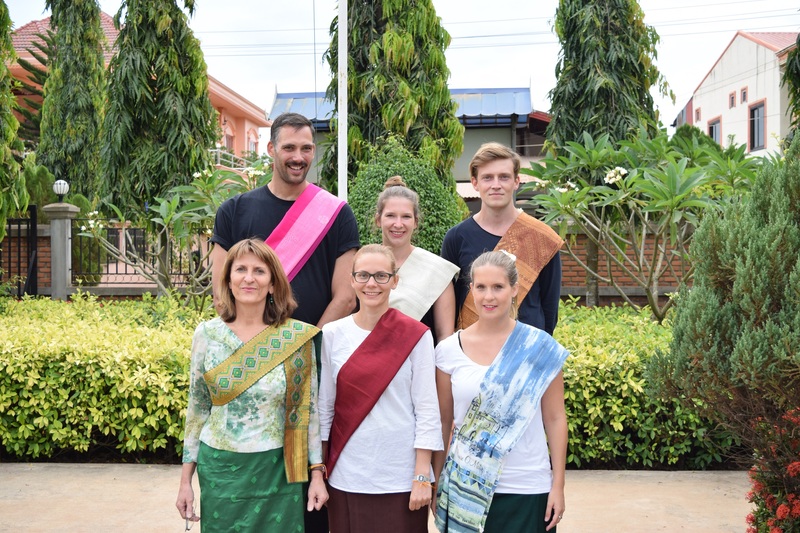 The first team of five volunteers of the Pädagogische Hochschule Karlsruhe, were prepared with seminars and workshops by Prof. Martin in Germany, started with the realisation of the concept in Laos. During the pilot phase from October 2015 to the beginning of January in 2016 the Laotian English teacher were systematically in fix tandems trained by a German volunteer. One teacher supervised therefore two Laotian teachers. They saw each other at least for one hour a day in individual teacher lessons. Additionally, the volunteers sat in on the teachers’ classes, which were analysed together afterwards. Every day the volunteers also offered an activity during “activity time” in the schools which showed how English can be taught playfully. Occasionally workshops were organised for the teachers and to check the teachers’ improvement tests had to be written. The success these measures had could soon be seen. As the focus lay on the teachers, they could quickly improve and share their new knowledge with their pupils. Sustainability seems to be easier reached with this approach and therefore it is constantly developed. 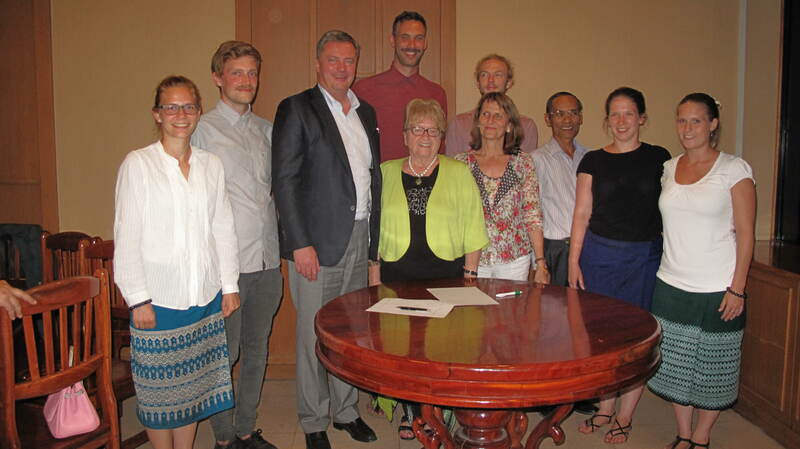 To tighten the cooperation between foundation and PH Karlsruhe on the 15th of December a Memorandum of Understanding was signed, in which the future plans have been set. 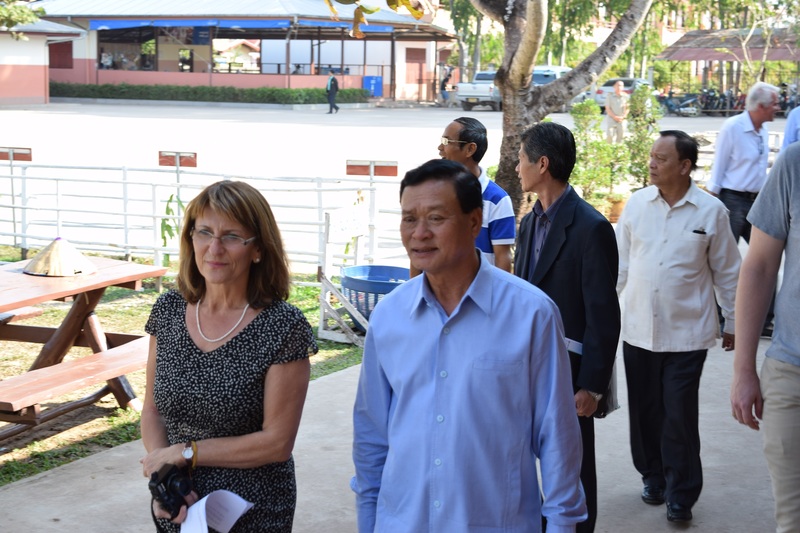 Through the many contacts with different institutions of the Laotian educational system, like the National University od Laos, the Teacher Training College Dongkhamxan, the Research Institute for Educational Sciences and the Ministry of Educational Sciences and the Ministry of Education and Sports, during the pilot phase the pilot project developed to a national educational project. The regular exchange with these institutions should help to share the knowledge won in the schools of the foundation nationwide. This could encompass cooperation in compositing the curriculum for the subject English, improvement of the school books or the teacher training at the universities. In order to improve the English education in the whole of Laos, the project was introduced to the vice-president of Education Assoc. Prof. Dr. Kongsy Sengmany and his associates at the schools of the foundation, to get information about the project. This visit marks the ending of the pilot phase as well as the growing ambition of the foundation. The existing infrastructure like school buildings in Laos should be used to implement, with the help from German professionals, a cognitive infrastructure in the form of more effective methods for example. To get more information about the collaboration, the process of the project, publications, reports about workshops and even more visit the blog The Laos Experience.